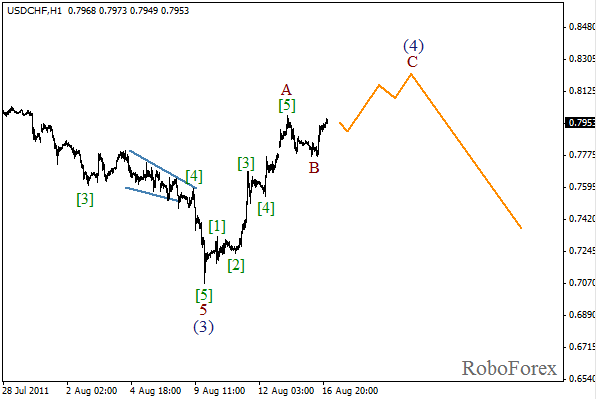 It looks like the zigzag pattern, with wave C inside it, is still being formed in the second wave. In the near term, the price may continue growing, but not for long. 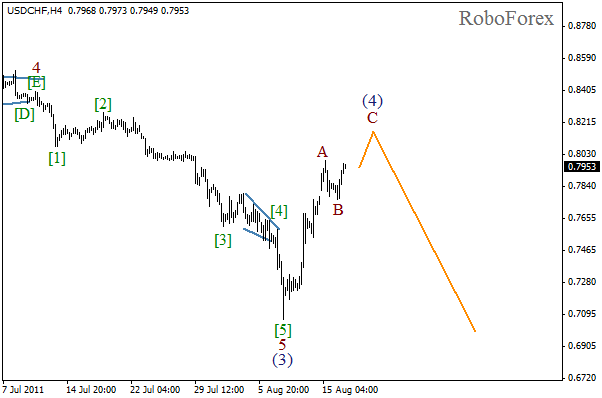 After that, wave (5) will start. 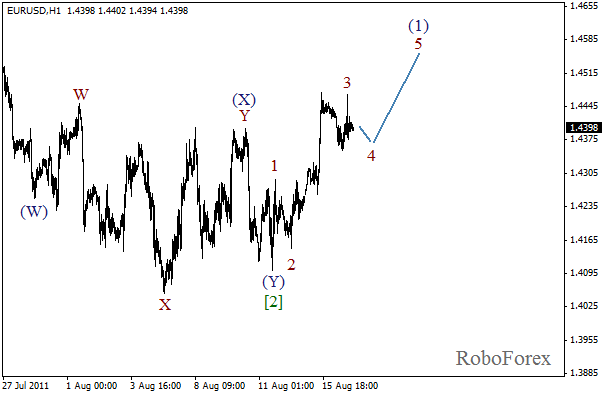 At the H1 chart we can see more detailed wave markings. It seems that the range of wave B was not big. Initial impulse inside wave C is about to be completed. After the local correction, along toward evening, the price may continue growing. 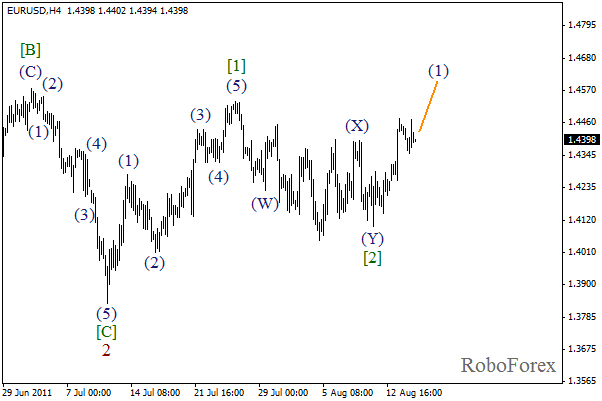 Slowly, but surely, Euro keeps growing. It looks like after double three pattern in wave  had been completed, initial impulse started, the structure of which is far from completion. In future, the price may continue moving upwards. It seems that the fourth wave is being formed inside wave (1). The forecast of the price movement is shown on the chart. This local correction may be finished by noon, and the price may continue growing. The first target is the level of 1,4500.